In the streets of Athens, people holding laundry bags start forming a line behind the white van with ‘Ithaca Laundry’ emblazoned on the side. 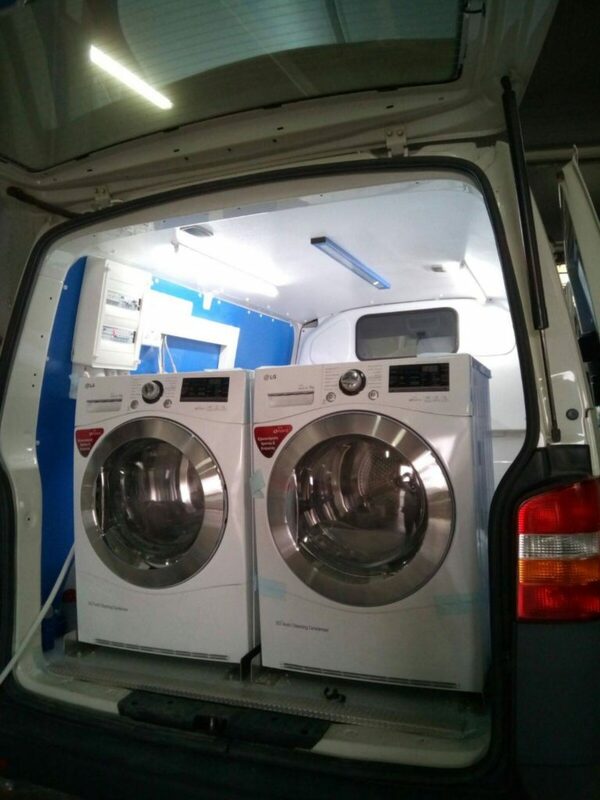 Each person comes to the back of the van, where one washer and dryer are ready to be used. Load after load of clothes are washed and then dried. Leonidas and Michalis, both of who came from the streets themselves, help run the service. 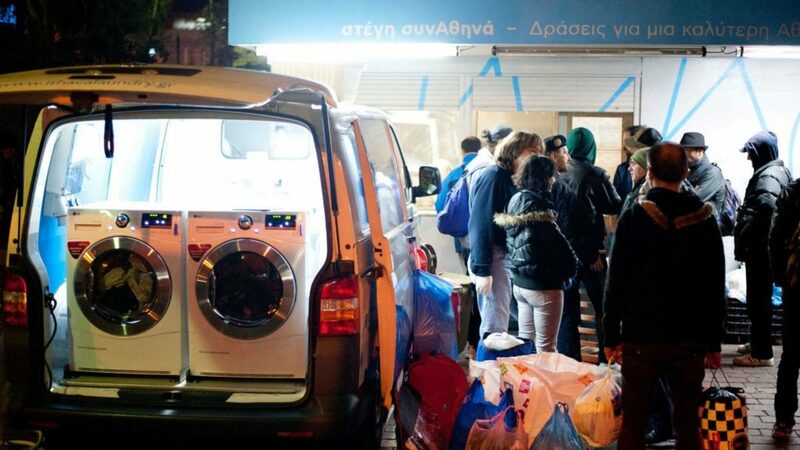 In the space of about an hour, the homeless of Athens are able to take with them a fresh bag of laundry and wait until the van next arrives at homeless hotspots of Athens and Piraeus including Omonia, Monastiraki and Panepistimio. Founded by Thanos Spiliopoulos, Fanis Tsonas and Andili Rachouti, along with Natasa Asimakopoulou in development and Dimitra Kountouri in operations, Ithaca Laundry started as a project to diminish the social exclusion faced by homeless people in Athens. 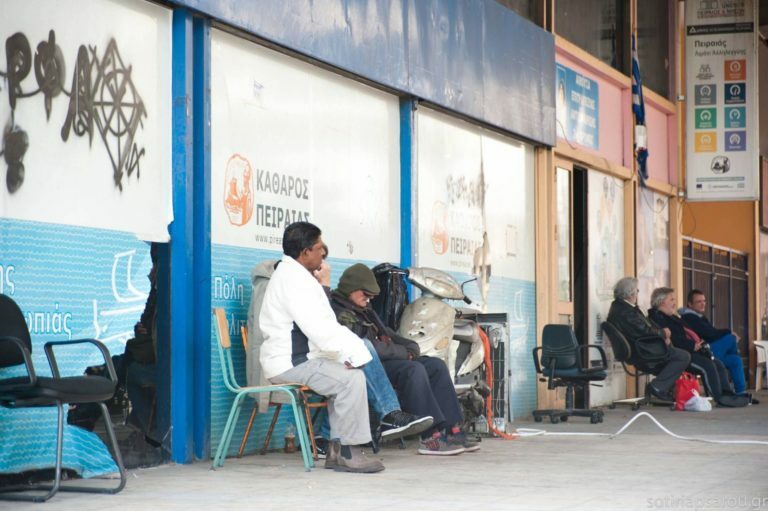 Figures released by the Hellenic Statistical Authority (ELSTAT) revealed that in 2017 20.2 percent of the total population was at risk of poverty. And the share of persons at risk of poverty or social exclusion aged 18-64 years was 36.5 for Greek nationals and 62.9 percent for foreign nationals residing in Greece. With so many people in need, and little support, the seemingly simple act of washing dirty clothes is akin to offering food or housing. “Provision of food or clothes or housing are, of course, important things in someone’s life, but we wanted to achieve something else,” said Ms Kountourioti, Operations Manager at Ithaca Laundry. Ithaca Laundry is more than just a washing and drying service. The team runs a social enterprise that created the first jobs for people from socially vulnerable groups. They are employed for a period of up to 12 months and are given the chance to integrate into society again. During this time, the Ithaca Laundry team also provides them with all the necessary tools such as guidance and counseling through their extensive network of partners in order to find a new job after Ithaca. “We make sure their social reintergration will last,” Ms Kountourioti said. Research conducted last summer by the Ithaca Laundry team revealed, perhaps unsurprisingly, that all of beneficiaries are satisfied with their service and they consider it a necessary aspect of their lives. Also, Ms Kountourioti said, they felt that by washing their clothes they are accepted more easily by the rest of the society, and that their dignity increases. Their beneficiaries are as varied as the people of Athens: families, men and women, young and old and many refugees of which Athens. “Each customer is equally memorable,” Ms Kountourioti said. Recently a refugee posted on their Facebook page that he would always be grateful to Ithaca Laundry because when he was in Greece they helped him through his rough life. He now lives and works in Belgium. “There are so many different stories behind every face and we are there to support and remember each one of them,” Ms Kountourioti said. Ms Kontourioti said they witnessed every step of the changes in their lives and have managed to gain their beneficiaries’ trust. A task Ms Kountourioti said was difficult in the beginning when the Ithaca laundry team was new. “Our goal is to make them feel better, improve their hygiene conditions and help them regain their self-esteem and dignity,” Ms Kountourioti said.